Google was recently caught citing a flawed study to claim that its Nexus 7 tablet had become the most popular tablet device in Japan earlier this year, even though that study didn't count iPad sales originating in Apple's direct sales, or two of the largest carriers in that country. In announcing the new version of its Nexus 7 tablet, Google's Sundar Pichai showed off a number of figures demonstrating the growth of the Android tablet market. Among those figures was the claim that the Nexus 7 had become the most popular tablet in Japan, outperforming even Apple's popular iPad. That claim, though, was based on a study released in January from Japanese market research firm BCN. BCN's study looked at sales from 2,400 stores in Japan, but it left out not only Apple Stores, but also Japanese telecom giants SoftBank and KDDI. Apple has a total of seven retail stores in Japan, and it is uncertain to what extent those stores account for sales of Apple's products in the country. It's also unlikely that BCN's figures took Apple's direct online retail sales into account in its figures. Thus, the study likely, due to its very construction, missed out on several of the major outlets for iPad purchases. Additionally, BCN's "study" was more of a survey in actuality. It only covered about 16 percent of tablet-carrying sales channels inside Japan. Looking into the issue, SlashGear spoke with a representative from IDC, a more established market research firm that both media outlets and manufacturers cite regularly. That representative cast further doubt on Google's claims, saying he was "a bit puzzled" that the search giant relied on a study with such questionable methodology. "We count the Nexus 7 as part of Asus' shipments," the representative said, "and looking at our Japan numbers for 4Q12  which represents shipments into the channel  Apple shipped about 773K iPad units versus about 350K Nexus 7 units for Asus." 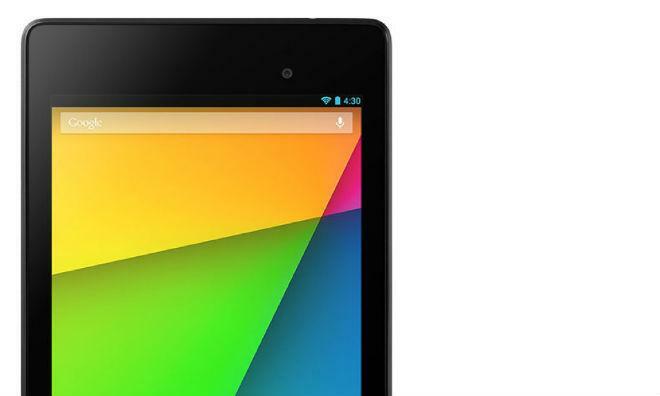 Despite by some measures shipping less than half the total of iPad shipments into Japan, the Nexus 7 remains a considerably popular tablet and among the most popular in a continually growing Android tablet market. In presenting the new Nexus 7, Google representatives pointed out that there have now been about 70 million Android tablet activations, with about 50 million of those coming in the last 12 months. While that number may raise eyebrows given Google's prior reliance on BCN's flawed numbers, the activation figure presumably comes from Google's own servers.